We have been working with individuals and small business to find the best financial solutions for 35+ years. Professionalism, confidentiality and providing Independent/personalized solutions is a large priority for us. Providing regular communication & reviews is something that we frequently do to help maximize relationships with our clients. By doing this, it gives our clients a peace of mind for whatever financial situation or opportunity that arises. Insurance Representative – Tolmie Financial Group Inc.
Financial Advisor - Manulife Securities Investment Services Inc.
Dan has been practicing in the financial services industry for over 30 years. He is both a graduate from Brennan High School (1982) and the University of Windsor (1986) with a Bachelor of Commerce degree, a major in Finance and a minor in Economics. While attending the University of Windsor he was very involved with the Business Commerce Society, serving as VP Finance. It was there, while building networks and meeting business owners and managers, which inspired him to go on assisting individuals and businesses plan for their own prosperous financial future. 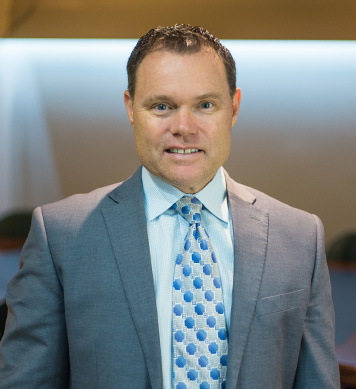 Having come from a very large family, well known to the Windsor-Essex County Community, and with a competitive spirit from his team sports has assisted Dan in developing a very strong client base from the ground up. He has achieved consistent sales growth along the way that has led to the 5 Star Master Builder Award in 2012. This is one of Manulife Financial’s highest honours; an award only 115 persons have achieved across Canada in the fifty years of existence. Dan lives in Lakeshore with his wife, Maria, and has two children, Melissa and Jake. Although his playing and coaching days are done, his love for sports and fitness will consume his free time every chance he gets. Associate - Manulife Securities Investment Services Inc.
Jake has been apart of the “Tolmie Financial Group” team for over 5 years. 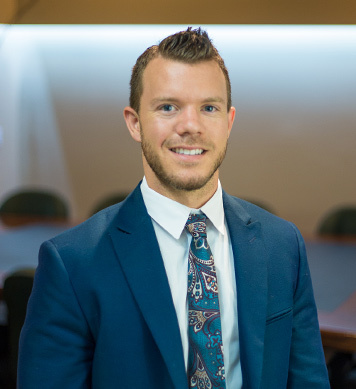 Prior to joining Dan's practice, Jake attended Ryerson University in Toronto taking Corporate Business, following up with St. Clair College to earn his Finance Diploma. He also earned his full license in Segregated Funds, Life, Disability, and Critical Illness Insurance. Jake also worked for Scotiabank for over a year, he gained a great amount of experience before joining the Tolmie Financial Group. Jake’s focus is on helping others achieve their short and long term financial goals. He would love to have the opportunity to help and assist you, the next generation of your family, and the important people in your life. With our large variety of strategies, research, and products, Jake will be able to use his knowledge and services to help implement these financial goals. Tolmie Financial Group has been working with individuals and small businesses to find the best financial solutions for 35+ years. We take great pride in our customer service and invite you to contact us if you have any questions. Insurance products and services are offered through Tolmie Financial Group Inc.
Professionalism, confidentiality and Independent/personalized solutions is a large priority for us. Providing regular communication & reviews is something that we frequently do to help maximize relationships with our clients. This material has been prepared to provide information on the products and services offered through your Manulife Securities Investment Services Inc. (MSISI) Advisor. Manulife Securities is a Trade Name used by the related companies MSI (an Investment dealer) and MSISI (mutual fund dealer). Manulife Securities related companies are 100% owned by The Manufactures Life Insurance Company (MLI) which in turn is 100% owned by the Manulife Financial Corporation a publically traded company. Please confirm with your Advisor which company you are dealing with for each of your products and services. Details regarding all affiliated companies of MLI are provided in the Important Client Information Brochure which can be found on the Manulife Securities website www.manulifesecurities.ca. Mutual fund products and services are offered through MSISI. Manulife Securities Investment Services Inc. is a Member of the Mutual Fund Dealers Association of Canada and the MFDA Investment Protection Corporation (excluding Quebec). Banking products and services are offered by referral arrangements through our related company Manulife Bank of Canada, additional disclosure information will be provided by your Advisor upon referral. Using borrowed money to finance the purchase of securities involves greater risk than a purchase using case resources only. If you borrow money to purchase securities, your responsibility to repay the loan and pay interest as required by its terms remains the same even if the value of the securities purchased declines.